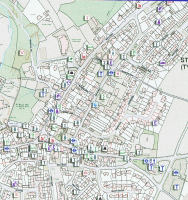 The grid references for the majority of the file are accurate to premise level - that is the grid reference falls within the building footprint of the address making it, positionally, the most accurate Point of Interest database available. As you would expect, the full file of 4,000,000 records is not cheap at over £75,000 at the time of writing for a five user licence. However, with over 600 individual classifications, it is possible to select just those records you need for your application and just pay for the data you need. If you are interested in finding out more about the Point of Interest data then please visit http://www.map-logic.co.uk/digital-maps/points-of-interest-poi.html for more information.